The Chiquibul Rainforest is one of Belize’s greatest natural assets, but over the years, the Western border of Belize along the Chiquibul and surrounding areas have been subject to illegal gold panning, logging, and poaching among other activities. Fighting to prevent these illicit activities are the Belize Defense Force (BDF), the Belize Forest Department, Friends for Conservation and Development (FCD) and Ya’axché Conservation Trust. Now, through funding from the Protected Areas Conservation Trust (PACT) and the Environmental Management Fund (EMF), conservationist have a new post in the Chiquibul National Park from where to lead operations aimed at protecting the area. 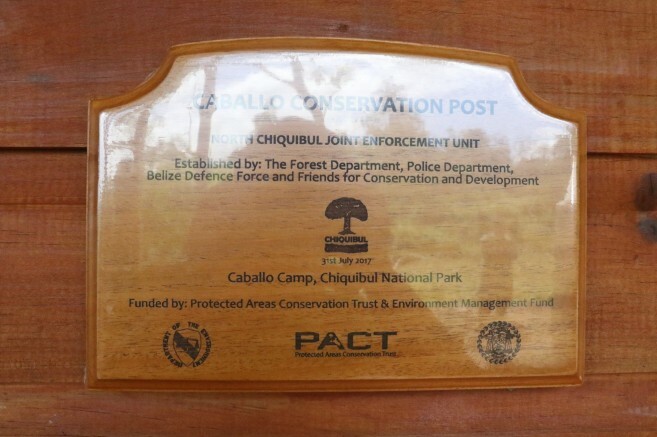 The Caballo Conservation Post was officially inaugurated on Wednesday, August 2nd. The Conservation Post came at a cost of BZ $115,000 and is part of the Chiquibul Forest Investment Initiative (CFII) that was launched in December 2016. 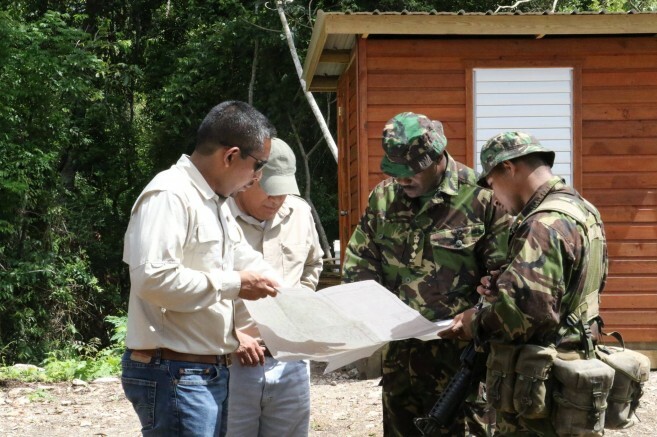 The main objective of the initiative is to increase the management and enforcement presence within the Chiquibul, Columbia and Vaca forest areas. Present at the inauguration which was when were Hon. Dr. Omar Figueroa, Minister of State in the Ministry of Agriculture, Fisheries, Forestry, the Environment and Sustainable Development (MAFFESD) as well as CEO in the Ministry and PACT Board Chair Dr. Percival Cho, and CEO in the Ministry of Defense Felix Enriquez among others. “The Caballo conservation post is but one part of a larger goal aimed at encouraging multi-institutional strategy and strengthening the capacity for joint law enforcement and protection of the Chiquibul,” said PACT Board Chair Dr. Cho during the welcome remarks at the event. So far PACT and EMF have invested BZ $2.28 million to increase the management presence and enforcement within the Chiquibul hoping to minimize the effects of illegal cross-border activities. In recent month, reports of illicit activities within Chiquibul have increase. Most recently, two Guatemalans were caught panning for gold in the Ceiba Chico Area. 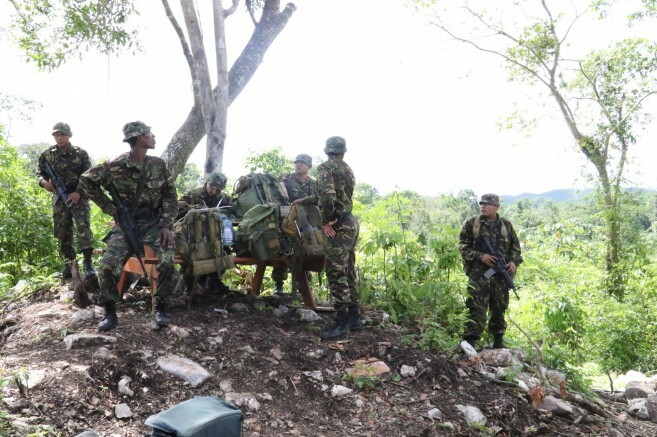 FCD rangers reported that on Saturday, July 29th at around 7AM, 40 year-old Thomas Gomez and 37 year-old Domingo Pana, both from Narajon, Dolores Peten, were found sleeping in a makeshift camp about six kilometers inside the Chiquibul. The men were detained and searched which led to the discovery of six live cartridges for a 16-gauge shotgun and a plastic bag containing marijuana. The rangers also found an assortment of tools known to be used for gold panning. The Guatemalan National were escorted to the San Ignacio Police Station where they faced several charges. “It is really a serious problem. Gold panning and cattle ranching/milpa farming are the two main challenges right now that we face in the Chiquibul. Guatemalans will not stop until the gold is finish in that zone,” says FCD Executive Director, Rafael Manzanero. He hope that the Caballo Conservation Post will help in this dilemma. 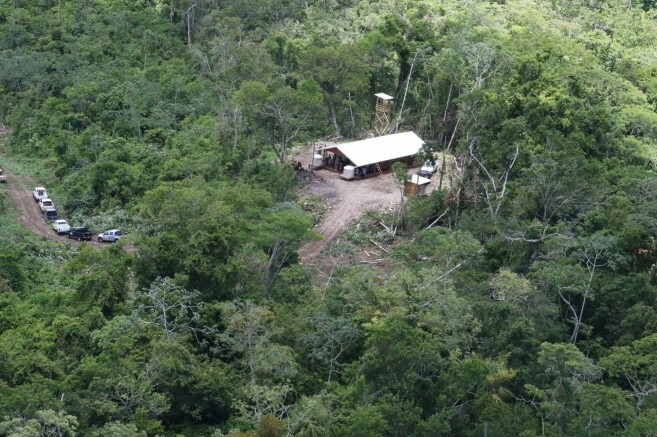 Over the course of the Chiquibul Forest Investment Initiative, authorities will facilitate the construction of two new conservation posts to allow for increased enforcement presence in the area, as well as the creation of access roads to alleviate the problem of limited accessibility for patrolling and monitoring.